We have been working on what is our take of a CAN dash. 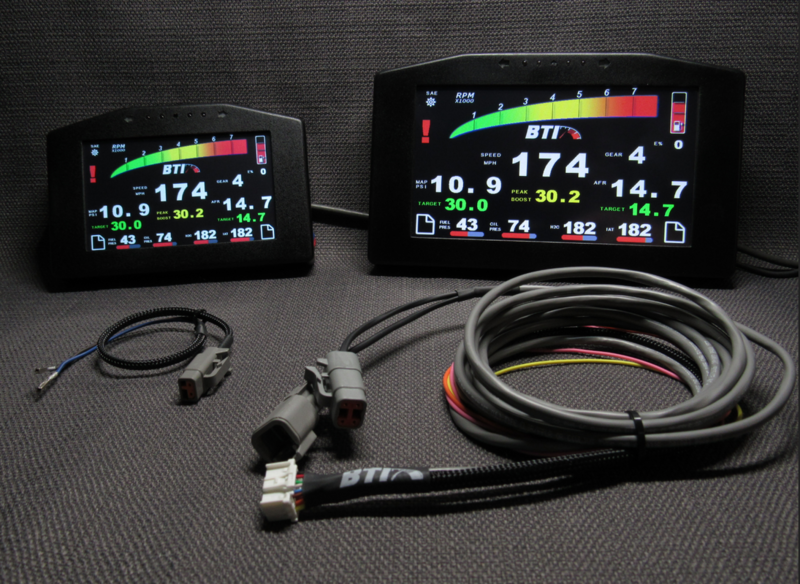 This BTI Dash is available in both 5" and 7" touch screens. These have an analog input for a fuel level sender, two inputs for turn signal indicators, two analog outputs for boost and traction control, Two additional outputs for other options such as a line lock, nitrous purge, nitrous arm ect. There is a sensor for auto-dimming and new 4-led pre-shift and shift led array that is programmable by gear. Currently available for AEM Infinity.